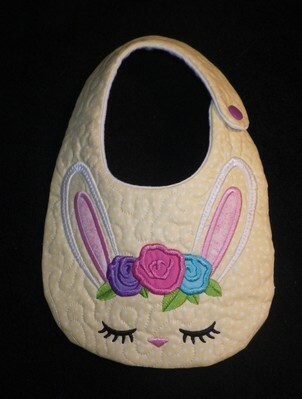 I enjoyed making baby bibs, this is my last for a while. I used Unicorn Animal Faces from Design and the ITH bib for Design my JuJu. Had to remove and move things around to make it fit within the bib. Ooooh so very cute! Job well done!!! You have some great ideas! That is precious. How cute is this!!! Love it!!! So very cute---was wondering what some of these faces I've seen lately would look like---I still need to make hooded towels. Thanks for sharing.